"In a way, all of us has an El Guapo to face. For some, shyness might be their El Guapo. For others, a lack of education might be their El Guapo. For us, El Guapo is a big, dangerous man who wants to kill us. But as sure as my name is Lucky Day, the people of Santa Poco can conquer their own personal El Guapo, who also happens to be the actual El Guapo!" Such were the words of Steve Martin in the awesome (and underappreciated) flick "Three Amigos." After sleeping in today and then flipping between the Pacers game and the Reds game, I started to think about my personal productivity El Guapos. I realize I can't write every single minute of every single day, but there are certain things that prevent me from getting as much done as I should. You must find a way to defeat this man. My primary El Guapo happens to be sports. There are many out there who care nothing for sweaty men and their (base, basket, and foot) balls, but I grew up in a household of die-hard sports fans. I root passionately for my teams, but my love for sports sometimes supercedes other, more productive ventures. You know...things like writing, revising, outlining, reading, etc. If I kept a chart of my writing productivity during the college & NFL football season, it would basically flatline. Ditto the NCAA Tournament. In fact, I may be the only person in the world who would benefit positively from the NFL lockout. If they don't get the silly thing sorted out and miss significant time during the season, I earn a full Sunday to write. Isn't that ridiculous? I love them, I need them...but they're a distraction. 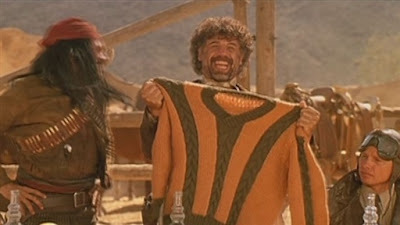 I would count sports as a personal El Guapo. I am not Captain Technology, but I do love my gadgets. Like many of you, I've spent too much time browsing Facebook, looking for iPhone apps, enjoying a DVD player with Netflix capabilities, getting on The Twitter (via Tweetdeck), or simply using the internet as an excuse not to write. I'm blogging right now. I should probably work on a book or short story, yet I blog instead. It gives me an excuse to use Firefox, Blogger, and Corel PaintShop Photo Pro. Does technology revolve around me or do I revolve around technology? 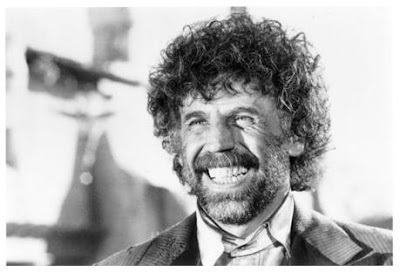 I would count technology as a personal El Guapo. General fatigue ("I don't wanna write right now"); that's an El Guapo. Movies and DVDs are an El Guapo. But as sure as my name is Matt Adams, we can conquer our own personal El Guapo. 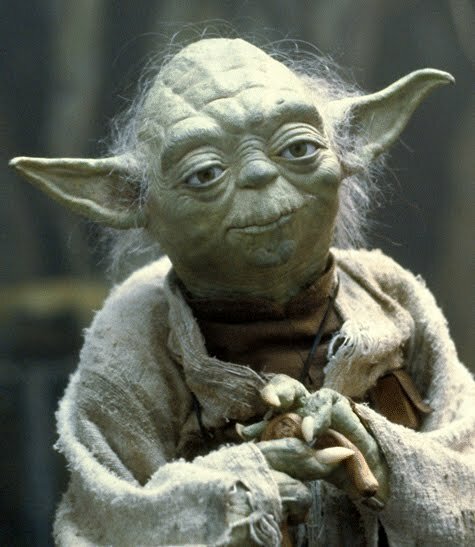 Defeating him isn't easy--this isn't "Amigos, Amigos, Amigos"--but it IS possible. Recognize El Guapo. He's not hard to miss. He has a beard, likes cigars and tequila and guns, will probably try to steal the girl (or guy) you like, sometimes wears a sombrero, and really, really likes sweaters. In the desert. I think the German pilot is jealous. Set a time. This is a time-honored, very effective bit of strategery. Even if you miss your writing time once or twice a week, as long as you nail it 80% of the time, your productivity will stay high. Get Away. Maybe the distractions around the home are too much. Make it simple: get away. Grab a notebook or your laptop and find a park, library, or other cozy place that allows you to focus. If it works, make that place your All-Time Writing Place. Unplug. 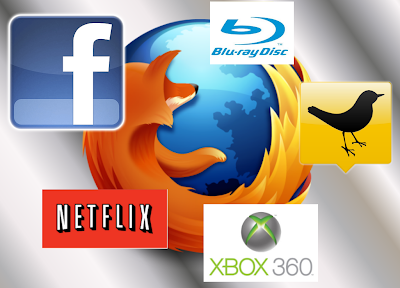 If the internet distracts you as much as it distracts me (Internet Movie Database, Netflix, Tweetdeck, Facebook, ESPN.com, Wikipedia, etc., etc., etc. ), unplug it. In my case it's easy; my PC has a wireless dongle (in high school that would've been a funny word). If I realize I'm spending too much time browsing the web, I can simply unplug it and lock it away. Similarly, I usually put my phone on vibrate and stash it in another room. Set limits. Going cold turkey on a personal El Guapo will kill you with real bullets. There's no way I'm giving up sports; it's simply not going to happen. My strategy is fairly simple: one game a day. This is a guideline...not a rule. After all, I follow IU, Notre Dame, and Purdue in college football. I'll watch just about any NFL game. Multiple March Madness games are meant to be shared and enjoyed. However, I try to limit it to my favorites. That means skipping the early game if the Colts play late and using that time to write. Treat Yourself. If you've had a particularly productive span, take a day off. Watch a movie, catch a ballgame, go out to dinner...whatever makes you happy. Some will say you have to write, write, write, write, write every single day. And while we should write as much as we can as often as we can, sometimes our brains just need a break. I have a day job...and it includes vacation time because we're simply not meant to work ALL THE TIME. Even if writing is your job, you have to step away sometimes and treat yourself. Make the Most of the Time You Have. You have 30 free minutes in which to do nothing. Do you: 1) Stream an episode of "The Larry Sanders Show" on Netflix, 2) Fire up "Batman: Brave and the Bold" on your DVR, 3) Play a Game of NBA Jam, or 4) Get behind the keyboard and start Microsoft Word (or any equivalent software used for writing)? Yoda says: "Option #4 you should choose." If you choose Option #4, you may only end up with just a few hundred words. But those "Larry Sanders" episodes can wait. If you use those bite-size bits of time effectively throughout the week, your overall word count shoots way up. So what about you? What Personal El Guapo keeps you from being as productive as you should be?